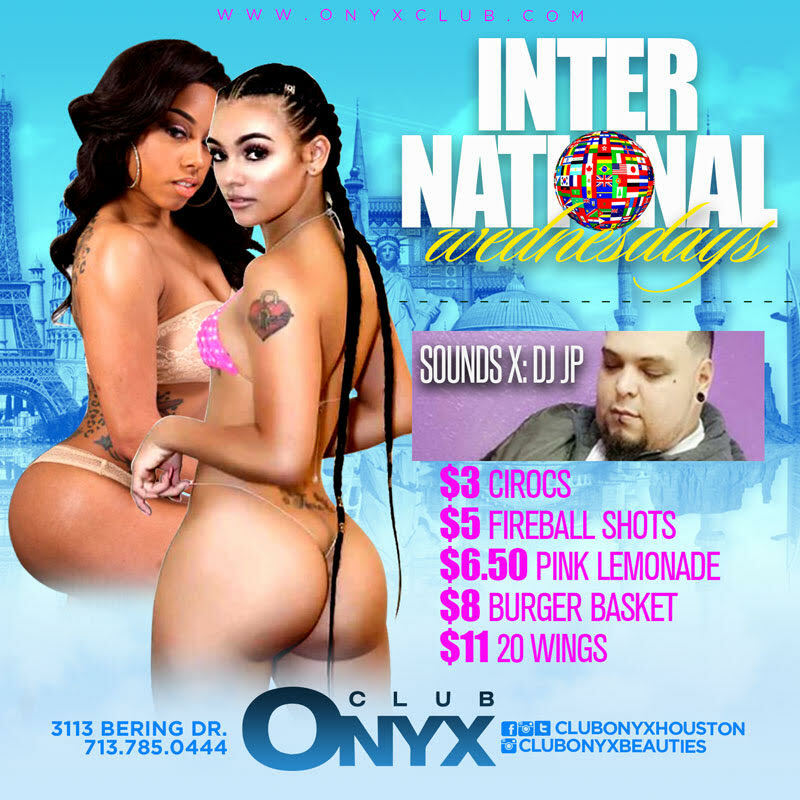 All New International Wednesday at Club Onyx Houston kicks off at 7pm when our doors fly open with our All New Happy Hour! Featuring a $5 Cover, $5 You-Call-It's and a special $5 Happy Hour menu until 10pm over 40 Club Onyx Beauties blur all borders and shake the rafters for the hottest party in the city. Powered by DJ JayP spinning the hottest in new Hip Hop and R&B the night pushes the laws of gravity with $3 Ciroc, $6.50 Pink lemondades and 20 wings for $11 All Night Long. Follow us on IG and Snapchat @clubonyxhouston and on Facebook @ Houston Onyx for updated events and features.